We know that SSL encryption is very secure. Still, you may ask yourself how secure is the encryption of an SSL Certificate? Can we measure it? Online businesses, corporations and even governments rely on the Security Socket Layer called SSL 256 bit. It is a standard specification for SSL encryption. It means that the key which was used to decrypt the messages that have been previously encrypted, is a string of 256 characters, all ones and zeros. Taking into account that each element of the 256 digits string has two possibilities (1 or 0), there are 2256 possible combinations. How long would it take to flip through each of these possible keys? We will have to do some math here. Let’s take a high-performance GPU computer (graphic processing unit) that can perform about 2 billion calculations per second. Let’s say we have 1 billion computers like this, which are all connected in a massive parallel and efficient system. Together, they are capable of performing 2e18 combinations per second. This is how the number will look: 2 followed by 18 zeros: 2 000 000 000 000 000 000 keys per second (2 quintillions). The result is 6.3113904 followed by 25 zeros. Now let’s make further calculations in order to see how many years we need in order to crack the SSL code. Scientists say that the universe exists for only 13.7 billion years, but we will need 9.1732631 followed by 50 zeros years to crack a 256 bit SSL Certificate. Despite the billions of years needed to try every possible combination, 1 billion GPUs will require electricity from 150 nuclear power plants. That means 30% of all the world nuclear plants. Also, imagine the trillions of dollars that this energy will cost. With this in mind, cracking an SSL encryption is impossible. It would take too long for somebody to try to do this, and would cost too much money. So as hackers fail to break the SSL Certificates, they try to find vulnerabilities in other areas that which are related to the SSL Certificates. The most common server vulnerabilities that are related to SSL Certificates are: Heartbleed, BREACH, BEAST. These vulnerabilities allow attackers to bypass the strength of an SSL Certificate. SSL Dragon allows you to identify and choose the SSL Certificates that would suit your company best. We do that in order to help you to tailor an efficient system against cyber attacks for your business. We can help you raise your servers security level significantly. 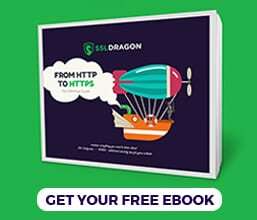 SSL Dragon keeps your information safe and helps your business to have a good reputation by building, managing and maintaining secure SSL/TLS connections for your business. SSL Dragon offers the following SSL Certificate brands: Symantec / VeriSign, Comodo, Thawte, Geotrust, and RapidSSL. 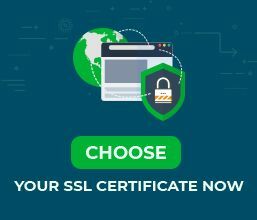 You can find our full list of SSL Certificates here. Please write us if you have questions about which SSL Certificate will suit your company best. We will be more than glad to help you.